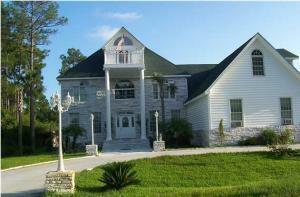 This newly renovated Victorian-style, three story home for rent! This one of a kind property sits on 1/2 acre, and is less than a mile from a local park and boat launch. Plenty of room for parking your cars and water crafts. Enter the home to formal dining area and great room. The kitchen has all new cabinets, countertops, back splash, island, appliances and opens up to a cozy formal dining room and family room. The laundry room has built in cabinets, sink and plenty of counter space. 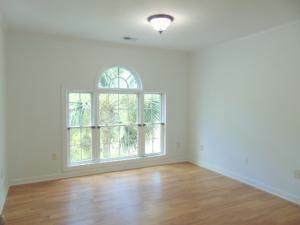 The master bedroom suite is located down stairs all new paint and laminate wood flooring. There is a large walk in closet, and doors that lead to the open back patio. The master bathroom has a large garden tub and a walk in shower. The second story features a mother in law suite with a full equipped kitchen.bathroom, large living area and a bedroom. Also located on the second floor is the second master bedroom with separate bathroom. There are 3 guest bedrooms and a full bathroom. The spiral staircase leads up to the third story large room with a private balcony, with a view of the LAKE that is across the street, perfect for fishing! Two car garage. There is an alarm system installed and can be utilized for a fee. Pets negotiable with deposit and fee. Hot tub on deck can not be utilized at this time.